My Talking Tom 2 – Today’s modern people care about their cats or dogs. Pet becomes a loyal friend, always with us when sad or happy. There are also many games that take this topic to develop. Among them, the most successful is My Talking Tom. This is a hot game that attracts a lot of gamers interested and moreover one can experience many different versions from this game. 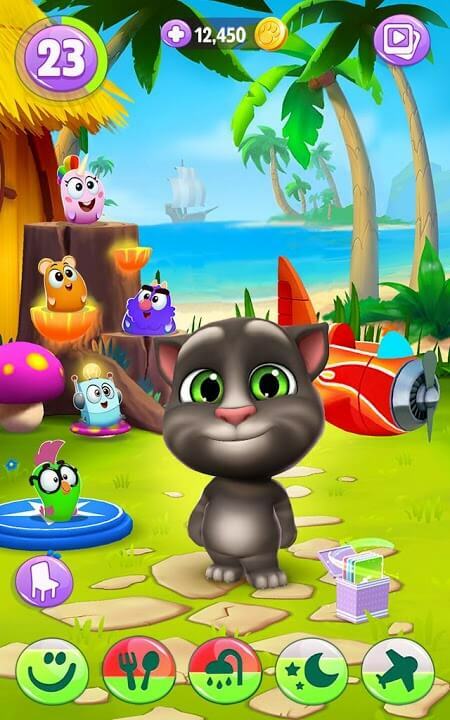 We can mention the game My Talking Tom 2 with many interesting features await. Outfit7 Limited is very smart when it comes to vision, right from the beginning of the game is popular with many users. 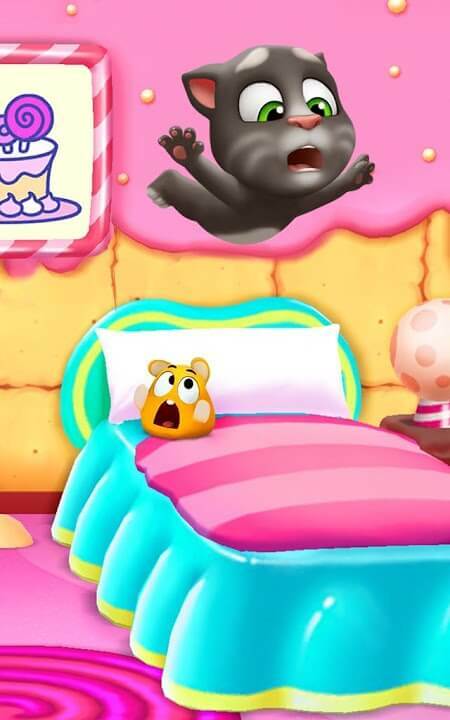 The game is also suitable for children because they love cats. 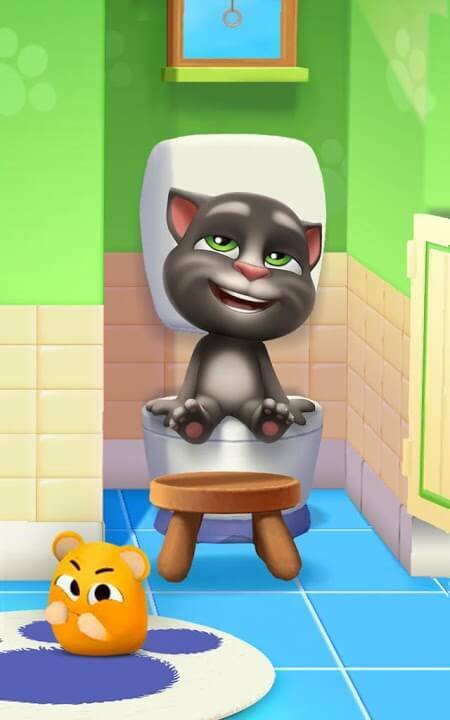 My Talking Tom 2 is still like My Talking Tom, taking the character is Tom cat mischievous. User download and install. After entering the game, users began to take care of the cat love to feed, go to the supermarket to buy food, bath and wear clothes for it. The game provides users with cat-friendly clothes. The higher the level, the more certain clothes are unlocked. 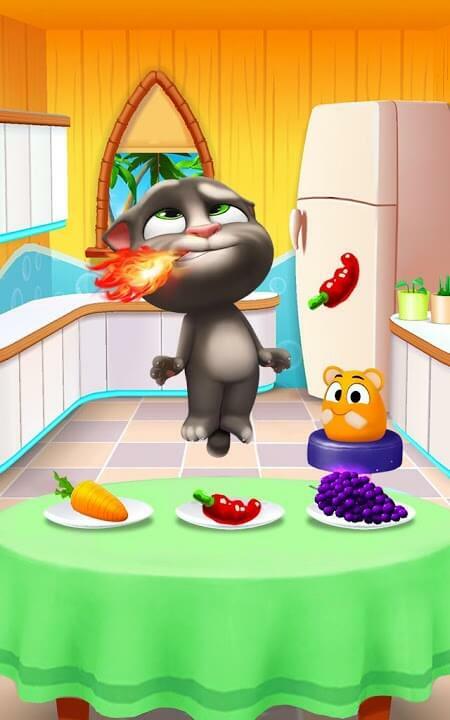 My Talking Tom 2 also includes small games to help players make extra money to buy food and drinks for cats. You will have to take care of Tom often if not, this guy will be the hungry or dirty nose. The My Talking Tom 2 experience, the player is like taking care of a real cat. In addition to Tom, the game features characters such as dogs or birds. The interface also has controls for ease of use. You can use it to tease Tom or threaten the dog. The extra games at My Talking Tom 2 are very attractive and too convenient. The players at the same time have the care of Tom and the free time to play other games in the same application without having to spend more memory to download more games. When you make more money, you can save to buy the food Tom likes or can unlock the beautiful clothes to change the shape, style of Tom. In addition, the game also provides players with hairstyles and shoes to choose from. For homes, all appliances can use coins to buy and change the color of the decor. My Talking Tom 2 owns 3D graphics with cute characters. Many children all over the world like Tom and want to play with this cat. The sound of Tom’s daily life is also described as a fact that makes the player feel like exploring right away. The game is currently being downloaded for free and constantly updated with new features to serve the needs of customers. If you love this mischievous cat, download it and join millions of players around the world to experience the journey of pet care. NEW MINI-GAME: Dodge the ghosts in Tom’s spookiest mini-game ever!